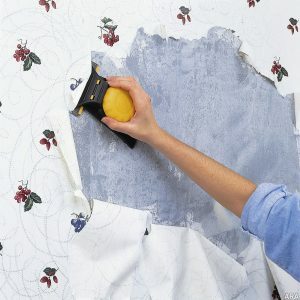 If you are overly tired of the old-style and dated wallpaper in your kitchen, living room or bedroom, having it removed seems like the most obvious choice. However, dealing with this on your own could turn out to be the most tedious undertaking you’ve handled. You will quickly find out that it’s far from being as easy as it may seem. This is the main reason for which you might want to give us a call. With years of experience, we have the necessary expertise, knowledge and equipment to tackle the task quicker than you can imagine. Below you’d find just a few of the benefits of working with us. Stubborn wallpapers are challenging to deal with. This is especially true if you do not have the necessary tools and equipment. We have special solvents as well as steamer devices which allow us to remove the wallpapers entirely without leaving any unpleasant and ugly traces. In certain occasions you might have even painted over your wallpapers. This is going to make the tasks so much more challenging. However, our power steamers and special solvents are going to help us out even if that’s the case. We won’t create a mess and we will make sure that everything is handle quickly. What happens if the wallpaper hasn’t been primed properly? Or, what happens if there are a few additional layers of different wallpapers under the top one? This is something that’s going to make the task quite difficult for a non-professional to handle. And, we already know that it’s hard enough as it is. With this in mind, we take advantage of modern and advanced techniques to ensure that the wallpaper is not only removed but that the surface beneath it is paint-ready. A lot of the times when a homeowner starts handling this task on his own he is likely to get the wall behind damaged. This is something which is going to have an overly harmful effect on your following paint job. With our comprehensive wallpaper removal techniques and modern equipment, we are going to make sure that this doesn’t happen. This is something that we guarantee for. Of course, there are quite a lot of other reasons for which you should take advantage of our services. For one thing, you wouldn’t have to handle it on your own which is good enough for most of our current clients. The burden is absolutely significant and the entire task could be incredibly time consuming and laborious – this is something off-putting and quite repulsing for the majority of non-professionals. 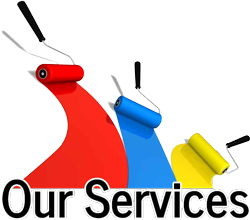 With over 50 years of professional experience, we are capable of handling your tasks with ease and convenience. We are going to clean up after we are done so that you don’t have to. You can rest assured that your walls will be clean and ready for a great paint job. Call us today and let us provide you with a quote!